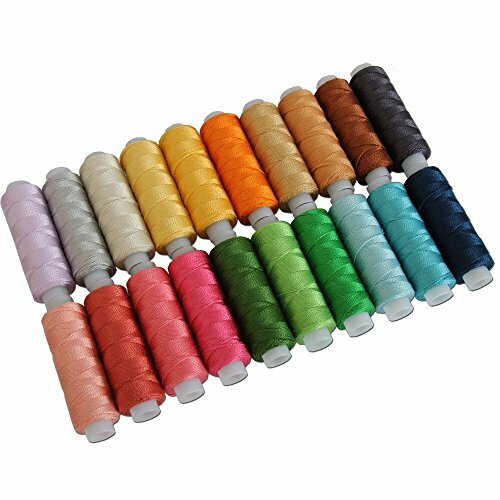 This set includes one spool of each of our most popular 20 colors of perle cotton thread. Perle (Pearl) cotton is a heavy weight thread that has many uses including quilting, embroidery, cross stitch, crochet, and more. This thread has a beautiful lustrous finish and is 100% mercerized cotton. On convenient spools as pictured. Size 8. 75yds per spool. This set includes one spool of each of our most popular 20 colors of perle cotton thread. If you have any questions about this product by Threadart, contact us by completing and submitting the form below. If you are looking for a specif part number, please include it with your message.